Taxi, train or bus are the three basic alternatives to go from the international airports surrounding Moscow to the famous Red Square. 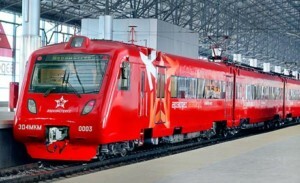 Of course, the most practical option when traveling in a group will be to take a taxi; now, when traveling alone or in groups of 2 people it becomes very expensive; Aeroexpress, as Moscow’s train is known, is the fastest solution, and finally, by bus which is undoubtedly the cheapest alternative, but presents a greater challenge. The rates fluctuate according to the company chosen, the comfort of the vehicle and of course, distance. The traditional services are: Economy (4 passengers): USD 28 – USD 35 and Comfort service (4 passengers): USD 35 – USD 55. 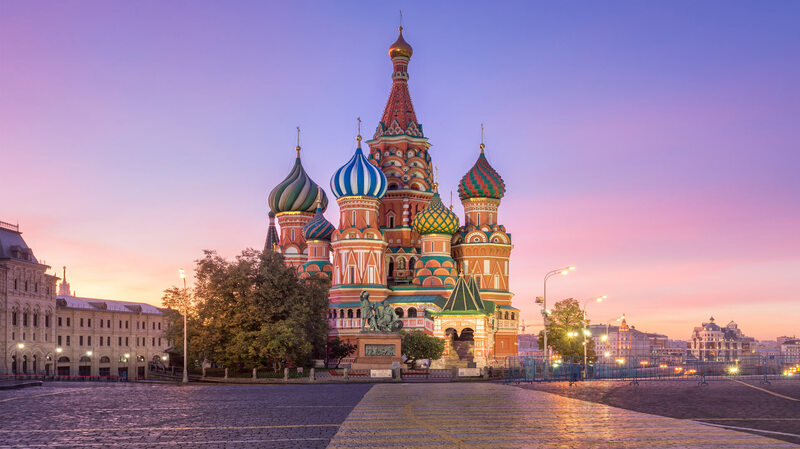 It is a safe option 24 hours a day, door to door service, either to or from the airport, and it is probably the only option available if you arrive in Moscow after midnight. A relevant fact to consider is that taxi drivers usually only speak Russian, except for some companies that allow hiring drivers who speak English. It is the best option to get back back to the airport, to avoid peak traffic congestion that can make you miss the plane. From Vnukovo to Kievsky station in 45 minutes. Prices range from USD 7 to USD 16 for a ticket depending if it’s one way or round trip, also you can choose to travel with comfort which will increase the ticket price up to USD 18 each way. Take into account ticket vending machines have slightly more expensive prices, although they offer more options such as services combined with the Metro that can be useful. The Troika card allows adding more money for additional trips, and can be used in Aeroexpress. The frequency of busses is between 15 and 30 minutes, it is the cheapest transportation system, but we must bear in mind that they only reach the outskirts of Moscow where the Metro lines begin. It could be a challenge to carry suitcases on and off the bus, and of course find maps translated to English, finally the complexity to communicate in an unknown city. • From Sheremetyevo to nearest metro station Rechnoy Vokzal: between 45 minutes and 1:30 minutes. 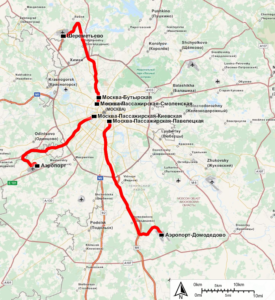 • From Vnukovo to the Metro stations of “Yugo-Zapadnaya” and “Troparyovo”: 35-40 minutes. The bus ticket range from USD 0.90 cents to USD 2 depending on distance and the airport you take it, it is not uncommon to pay the bus driver for the ticket. Do not miss the next post where we will tell you about the must-sees in Moscow!